Sunny and mild. That’s not just the weather report: It also describes San Diego’s personality. This is a place where the people are friendly, the insects don’t bite and – unlike conditions in that other, larger Southern California city – the traffic usually isn’t too bad. To top it off, San Diego is blessed with considerable natural beauty. With over 70 miles of beaches and its close proximity to Anza-Borrego Desert State Park, the San Bernardino mountains and Mexico, it is no wonder that San Diego’s nickname is “America’s Finest City”. In San Diego, it’s true that you can surf in the morning and ski in the afternoon. If you like sunshine, beaches, mountains, and a small-town atmosphere within a growing metropolis, San Diego may be the place for you! 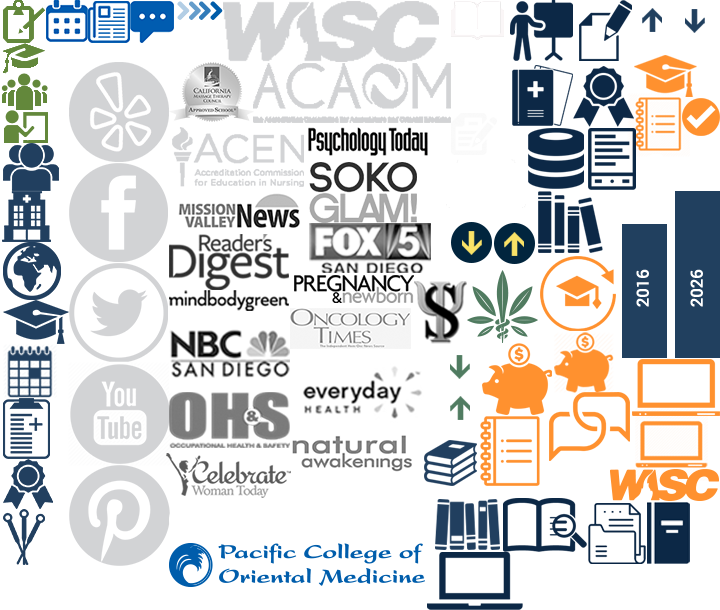 San Diego also offers a large holistic health community. Many natural food stores and restaurants, holistic health newspapers, and alternative bookstores offer job opportunities to students. Entrepreneurial students also find it easy to supplement their incomes by doing massage or teaching classes in yoga, tai chi, nutrition or whatever their specialty may be. If you are considering Pacific College – San Diego, we invite you to learn more about San Diego’s attractions, neighborhoods, and transportation. If you’ll be relocating to the area, you’re probably curious about housing. Moving to a new city can be a challenging endeavor, and we at Pacific College understand this. Please refer to our list of housing resources and properties that may help you find a home.